In just about every MMO I’ve ever played – even during that funky period when questionable free-to-play titles began to flood the market – there tends to be at least one feature or system that I fully expect will be absorbed into other games. We saw quite a bit of this following the launch of World of Warcraft, as everyone scrambled to add some version of quest markers over NPCs heads. We saw this again with the Public Quest system from Warhammer Online a few years later (though I still credit Tabula Rasa as the origin point within the MMO timeline). There was a time when one of my most played online games was the original Guild Wars. What fascinates me is just how long some of the brilliance behind the core design of that game is only now beginning to seep into the MMO design ocean. One of the more interesting and unique features for its time was the elite skill capturing mechanic. The basic premise is this. Elite skills are more powerful than common abilities, so you have to work a bit to obtain them. Each boss or named mob in the game would have a specific unique skill, so obtaining their elite skill for your current primary or secondary profession to a bit of exploration and patience. Not only does that system give players reasons to go out into maps they might not otherwise venture through, but it’s very practical in the sense that you should only be able to learn the most powerful skills from the most powerful NPCs. Call me nuts, but I loathe the notion of walking up to some random vendor or trainer in town to purchase new skills for my class. Think about it this way. If there is some omnipresent threat beating down the gates that serves as the entire premise as to why you’ve become an adventuring hero in the first place, why the heck aren’t these trainers out there on the front lines? I mean, they know every damn skill for your class better than you do, right? The capitalist bastards need to get of their asses and contribute to the fight, not stand around until the blisters on their feet burst to make a fast buck off of my character. Getting back to the elite skill thing, it’s one of those systems that I’ve been hoping would turn up in other titles for a long time now. I suspect that one of the reasons it hasn’t is due to the current climate of instant gratification in MMOs over depth of gameplay. Then along came the latest addition to the Marvel Heroes 2015 roster – Rogue – and my faith in the MMO industry’s ability to continue pushing the envelope in class design was instantly renewed. How’s that for some instant gratification? Rogue as a playable character takes that simple premise from elite skills in GW, and seamlessly integrates it into her skill system while also expanding upon it in some noteworthy ways. In particular, one path allows you to borrow skills from allies, so your pool of available skills to capture is greatly expanded. This implementation also fits the lore of the character as snugly as the gloves Rogue is usually sporting. Similar to elites in GW, each boss or playable character in Marvel Heroes 2015 will have one ability that Rogue can absorb. While you have a finite number of enemy or ally skills you can absorb at any given time, you can always free up slots with a simple right click in the skill tree. It goes a lot deeper than that even, but those are some of the key points. 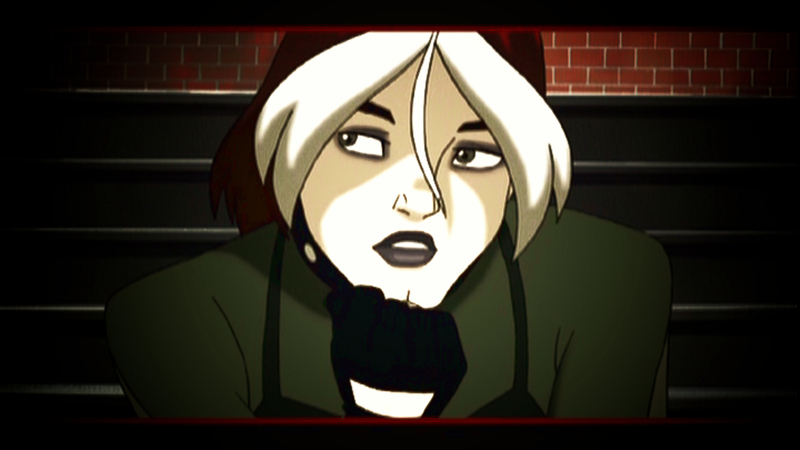 Due to time limitations, I’ve only gotten to play Rogue through the main normal mode storyline, but as with all characters in Marvel Heroes 2015, she continues to evolve and become more interesting to play the further I advance. The drop also came on the same day as the combat review for Jean Grey (my primary character from day one) so I’ve been digging those changes quite a bit as well. Even if you aren’t necessarily a massive comic book or Marvel fan, I would encourage you to dive into Marvel Heroes 2015 to check out Rogue for the excellent class design if nothing else. Of course, the game is absolutely worth playing either way, and has remained a staple for me for the past year plus.